What's the difference between filing a "claim" and filing a "lawsuit" in a car accident case? Filing an insurance claim and filing a lawsuit to obtain compensation after a car accident are two distinct processes that are often connected. It is important that you understand the differences so you follow the best approach. This will also ensure that you do not miss important deadlines that apply to your car wreck case. What Does it Mean to File A Car Accident Claim? Filing a claim is the process of working directly with the negligent driver’s insurance company for compensation for your property and personal injuries. No legal document is filed with a court, and there is no judge overseeing the process or scheduling a trial. It is an informal settlement process which usually starts with your attorney writing a demand letter to the insurance company advising them of your claim and the amount of compensation you are entitled to. Documentation supporting your claim is usually included with the letter. An insurance adjuster will investigate your claim, and hopefully your attorney will be able to negotiate a settlement for you without the need to file a lawsuit. How Is A Car Accident Lawsuit Different? Most people start out by filing a claim and only file a lawsuit if they cannot reach a fair settlement with the negligent driver’s insurance company. In addition, filing a lawsuit could be essential if the statute of limitations is about to expire. The statute of limitations is the time period you have under Georgia law to sue the negligent driver. You have two years from the date of the accident to sue for personal injuries and four years for property damages. 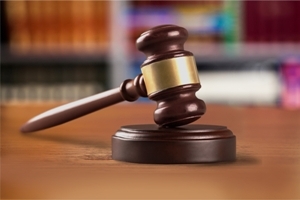 If you fail to file your lawsuit within this time period, you waive your right to do so. You file a complaint against the negligent driver in court asking that he be ordered to pay you a certain amount of compensation. The court issues a summons ordering the driver to answer your complaint. Your attorney hires a process server to personally deliver the summons and complaint to the negligent driver. The negligent driver has a certain number of days—usually around three weeks—to file an answer to the complaint with the court and send a copy of it to your attorney. Your attorney and the attorney for the negligent driver and his insurance company conduct discovery, which can be sending questions and requests for documents and depositions where you and the negligent driver are asked questions about the accident that are recorded. Your attorney will continue trying to settle your claim with the attorney for the other side. Most cases settle before trial. If yours is settled, a formal settlement agreement will be filed with the court. If you are unable to settle your case, it will be scheduled for a jury trial where a jury will decide what you are owed. Whether you need to file a car accident claim or a car accident lawsuit, you need an experienced attorney to guide you through the process. Contact us online or call us directly at 866.299.0558 to schedule your free consultation. What compensation am I entitled to if a family member died in a car accident? Losing a close family member, like a spouse, child, or parent, is devastating no matter how the death happens. When your loved one died in a car accident caused by a negligent driver, however, you may be able to bring a wrongful death action against him to compensate you for the loss of your family member. While there is no amount of money that can take away the grief and loss of your loved one, it can help to obtain some sense of justice in holding the negligent driver responsible for compensating you. 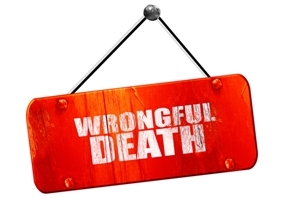 What Compensation Are You Entitled to in a Car Crash Wrongful Death Action? Medical expenses. You are entitled to compensation for the medical bills from your loved one’s injuries caused by the automobile accident. Funeral expenses. You can be reimbursed for your reasonable funeral and burial expenses. Property damage. If your family member’s property, such as his vehicle or property in the vehicle, was damaged in the crash, you should include this in your settlement request. Lost wages. Your lost wage claim will include not only any wages that your family member lost after the accident but before his death, but also the future earnings and benefits he would have received if he had lived. Loss of companionship. The biggest portion of your claim may be to compensate you for the loss of companionship, support, and affection from your family member. An experienced car accident attorney can advise you on the value of your claim and negotiate your settlement for you so you hopefully receive what you are entitled to. Whether you are a resident of Las Vegas or from out-of-state, the legal team and Jones Wilson Injury Lawyers is here to help. Call our office today to schedule a free, no obligation consultation. How will an attorney help me in my car crash case? If you were hurt in an automobile accident, you may be tempted to try to negotiate your settlement with the negligent driver’s insurance company on your own to save money. However, this would be a mistake. You could inadvertently do something that actually reduces the value of your claim and lose out on the benefit of having the advice and assistance of an experienced car accident attorney. Determining the value of your claim. An experienced attorney who has handled many cases like yours can give you an approximate value of your claim at your initial consultation. He will also have a better understanding of the true value of your claim after conducting an investigation of your wreck and determining the extent of your injuries. Communicating with the insurance company. An attorney can handle all communications with the insurance adjuster for the negligent driver to ensure that you receive the compensation you are entitled to. Obtaining evidence. An attorney can thoroughly investigate your accident, preserve important evidence, and hire expert witnesses when necessary so that you can prove your claim—vital to obtaining compensation for your injuries. Obtaining medical records and reports. Having complete medical records and a doctor’s report that provides the correct information regarding your injuries is a vital component of your proof of the amount you should receive. An attorney can collect your documents, work with your doctor, and be certain nothing is missing. Pursuing all liable parties. An attorney can identify all potentially responsible parties and pursue settlement negotiations with them so that you receive the full amount you are owed. Negotiating your settlement. Your attorney can negotiate your settlement for you. He should have experience anticipating insurance adjuster arguments and have strategies to defeat them—again helpful to maximize your settlement. Filing a lawsuit. 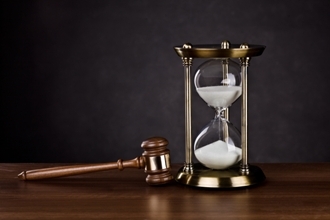 If your attorney is unable to negotiate a fair settlement for you, he can file a lawsuit before the statute of limitations—the time period to sue—expires. Were you injured in a car accident? The experienced legal team at Jones Wilson Injury Lawyers can answer your questions and explain your legal options. Call our office today at 866-299-0558 to schedule a free case evaluation. 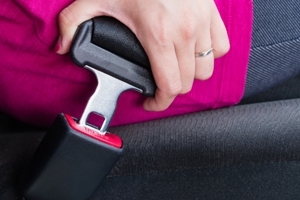 Do I have a claim for compensation if I wasn’t wearing my seat belt at the time of my auto accident? There are certain factors in a car accident that can make the victim’s claim for compensation more complicated. One of these is not wearing a seat belt when involved in a car accident. This does not mean that you do not have a claim against the negligent driver, but it could result in you having to be realistic about your claim and accepting less in compensation for your injuries. In Nevada, a driver and his passengers are required to wear a seat belt. In some cases, whether you were wearing a seat belt will have no bearing on the seriousness of your injuries caused by a car accident. In this situation, the fact that you were not wearing a seat belt should not reduce your claim—at least not by much. If the cause of your injuries was 51 percent or more due to the fact that you didn’t buckle up, you would have no claim for compensation against the negligent driver. If the cause of your injuries was less than 51 percent due to not wearing a seat belt, you would have a claim for compensation against the negligent driver. However, your settlement amount from him would be reduced by the percentage that you are found to be at fault. This amount could still be substantial. Even if you could not make a claim for your personal injuries, you may still be able to file a claim for your property damage against the negligent driver or your own insurance company if you purchased collision insurance. Even if you are at fault in causing your injuries, you could file a claim under your medical coverage for payment of your medical expenses if you bought that coverage. One mistake that you do not want to make is to not pursue your claim for compensation simply because you were not wearing your seat belt. An experienced car accident attorney will have dealt with this problem—and more challenging ones—in negotiating settlements for victims. If you or a family member needs to file a claim with the negligent driver’s insurance company, contact us online or call us directly at 866.299.0558 to schedule your free consultation. Are You Obeying Nevada’s Seat Belt and Child Restraint Laws? How soon after my automobile accident should I retain an attorney? If you or a loved one was injured or someone died as a result of your crash, you do not want to delay in contacting an attorney. After you receive the medical treatment you need, your next priority should be hiring an experienced car accident attorney who can help you build your case and file your claim for compensation with the negligent driver’s insurance company. Unfortunately, settling a claim is often a battle for accident victims and having an experienced attorney at your side can increase the likelihood of receiving what your claim is worth. Preserving evidence. Evidence can be lost if it is not preserved soon after an automobile accident. An attorney can thoroughly investigate the accident scene to discover business surveillance tapes of your crash and evidence like tire track marks, photographs, and more that could prove the other drivers’ negligence. If the investigation is not done quickly, some of this important evidence could be lost. Interviewing witnesses. Witnesses are much easier to locate soon after the accident. They can move or their memories of what happened can fade if they are not interviewed soon after the incident. Avoiding mistakes. 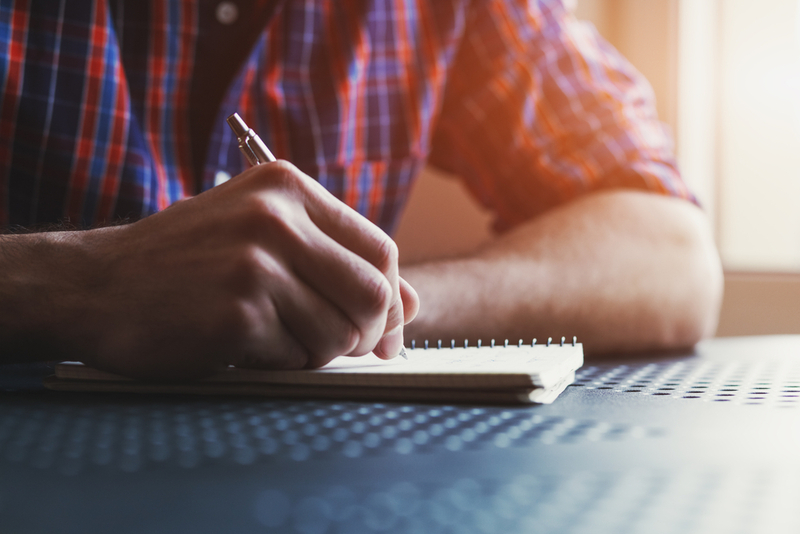 By hiring an attorney right away, you can avoid making inadvertent mistakes, such as saying something you didn’t mean to the adjuster, or agreeing to give a recorded statement. These innocent mistakes could result in you having to settle for less than what your claim could have been worth. Collecting medical records. 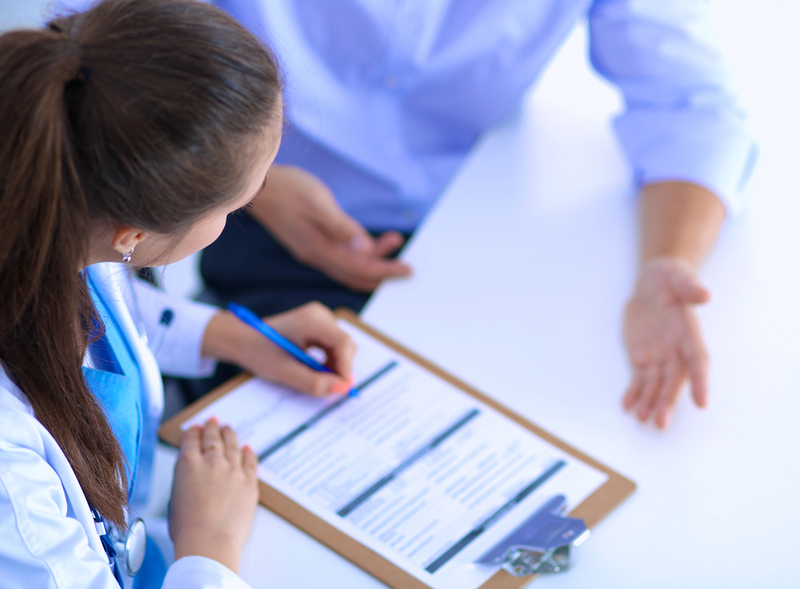 Your medical records and medical expert testimony will be key to proving your injuries. An attorney can begin collecting this information right away to ensure it is complete and does not get lost. He can also hire the appropriate medical expert for your case. Negotiating with the insurance company. You want to leave all the communications and negotiations with the negligent driver’s insurance adjuster to an attorney. By hiring an attorney right away, you avoid being convinced to settle your claim for less than you deserve. Avoiding delaying too long to sue. An experienced car accident attorney will know the statute of limitations—the deadline you have to file your lawsuit—in Nevada and will file your civil lawsuit before this important deadline expires. While it is always best to contact an attorney soon after your crash, it is never too late to do so. If you or a family member was hurt in a car accident caused by another driver, fill out our online form to schedule your free, no obligation consultation. How long will it take to settle my slip and fall accident case? One of the top questions slip and fall accident victims ask is: How long will it take to settle my claim? It can be frustrating if your attorney tells you that it depends on many factors. Unfortunately, this is true, and hiring an attorney right away does not necessarily mean that your claim will settle quickly. In some cases, it is actually beneficial to wait to settle your claim. Your medical treatment. To ensure you receive the full compensation you are entitled to, your attorney will want to wait to try to settle your claim until your treatment has been completed or your doctor gives you a final prognosis. This ensures that all the medical bills to date and your possible future ones are included in your settlement. Unfortunately, it could be months or more than a year after you begin conservative treatments like physical therapy before your doctor decides that they are not working and that you need surgery. Disputes with the insurance company. In most cases, even when liability of the business or property owner is clear, its insurance adjuster will dispute some issue in your case, such as the severity of your injuries, in an effort to deny or reduce your claim. Depending on the reasonableness of the adjuster, it could take your attorney months or longer to negotiate a fair settlement for you. Pre-existing injuries. If you have pre-existing injuries to the same part of the body that was injured in your slip and fall accident, the insurance adjuster will most likely argue that this pre-existing injury caused your current one. This could make settling your case more time-consuming for your attorney, and he may need to hire a medical expert, such as your treating physician, to issue an opinion on this to convince the adjuster that he is wrong. Serious injuries. If you suffered more serious injuries in your slip and fall accident that will cause you chronic pain or to become disabled, the value of your claim could be higher. Whenever the settlement amount will be high, it is more likely that the insurance company will fight harder to deny your claim. Negotiations. Any negotiations of a slip and fall accident claim involve some negotiations with the insurance company. Rarely will the adjuster agree to the first amount your attorney demands in settlement. This back-and-forth process takes time, even in a fairly straightforward case. Litigation. In some cases, the insurance company refuses to settle for a fair amount. In this situation, your attorney may need to file a civil lawsuit against the business or property owner and litigate your case. While your case most likely will be resolved before your trial, it could take months of litigation before this happens. It is best not to settle your case quickly if it is for less than what you deserve. If you were hurt in a slip and fall accident, let our experienced slip and fall attorneys handle the investigation of your claim and settlement negotiations with the owner’s insurance company. Fill out our online form to schedule a free, no-obligation consultation. How Much Is My Slip and Fall Case Really Worth? How much will it cost me to hire an attorney in my slip and fall case? If you must seek compensation for a slip and fall accident from a business or property owner, you want to hire an experienced attorney so you receive the settlement you deserve. To do so, you will need to research lawyers and interview them. Besides determining their qualifications, you also want to understand the fees you will be charged before making this very important decision in your case. Contingency fee. Most attorneys handle slip and fall cases—and other types of personal injury cases—on a contingency fee basis. This means that they only get paid if you obtain a settlement or are awarded compensation at a trial. If you receive nothing, you do not owe attorney fees. 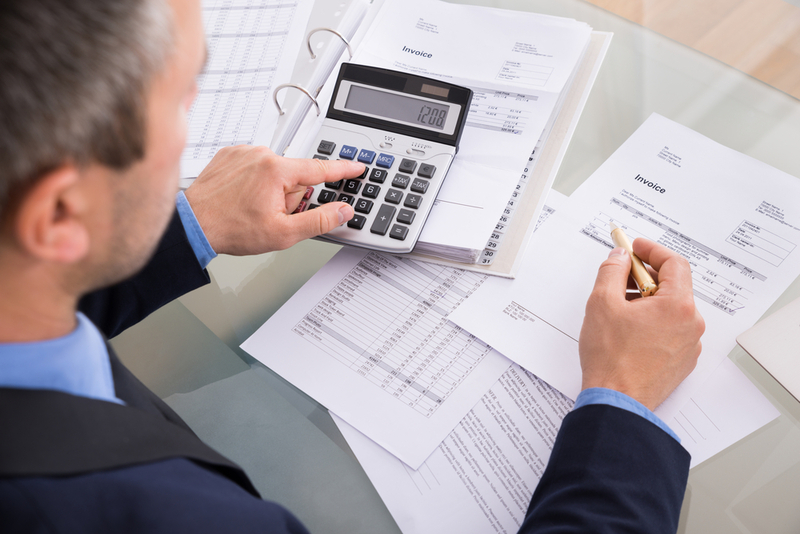 Typically, an attorney will charge a percentage of the amount you recover. Hourly rate. While this fee arrangement is much rarer, some attorneys could charge you on an hourly basis that ranges from $100 to $500 per hour. You want to know the approximate total cost before agreeing to this because your fees could be expensive. Costs. Besides the attorney fees you will pay, you will also owe litigation-related expenses, like the court filing fees, expert witness fees, and costs for obtaining your medical records. Some attorneys will pay these fees and then deduct them from your settlement award. Others could charge a contingency fee but require you to pay a retainer of a certain amount at the beginning of your case to recover these costs. You want to be certain to understand how much these anticipated costs will be and how you will be expected to pay them. While you may not want to hire the most expensive attorney, you do not want to choose an attorney solely based on cost. Retaining an experienced attorney who has a solid track record of case resutlts who is not afraid to take your case to trial if necessary is essential for obtaining a favorable settlement. If you or a loved one were injured in a slip and fall accident, contact us online or call us directly at 866.299.0558 to schedule a free, no-obligation consultation with one of our slip and fall attorneys. What Is the Time Limit to Sue in My Slip and Fall Case? What happens if I hurt myself in a slip and fall accident on a public sidewalk? Many of us are walking more to meet our fitness tracker goals or simply because we live in cities where we walk instead of drive. Walking is a healthy form of exercise, but what if the unimaginable happens and you slip and fall on a public sidewalk? Can you sue your local government? 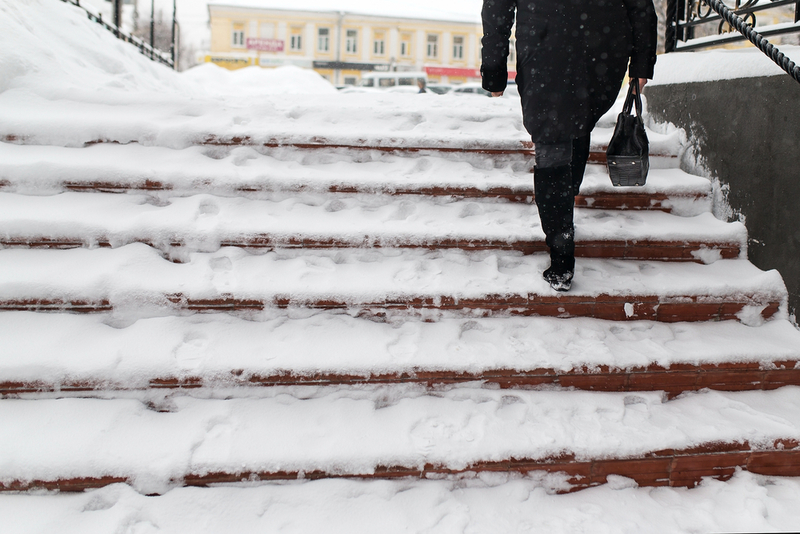 When Is a Government Liable for a Slip and Fall on a Public Sidewalk? The sidewalk must have been unreasonably unsafe. Your local government must have had actual or constructive notice of the problem. You will need to show that people had complained of the problem or that the defect existed long enough that the government knew or should have known of it. Filing your claim against a municipality or governmental agency is different than in a typical slip and fall case, which usually begins by filing a claim with the negligent party’s insurance company. An injured victim starts a claim for a slip and fall on government property by filing a notice of claim against the agency or municipality responsible for maintaining the sidewalk. There is a strict time period for filing the notice, so you need to contact an experienced slip and fall attorney as soon as possible to not miss this important deadline. Were you or a family member injured in a slip and fall on government-owned property? We urge you to fill out our online form today to schedule a free, no-obligation consultation with our experienced slip and fall legal team to learn about your legal options and the time limits you have to give your notice of your claim. Can I help my attorney obtain a better settlement in my car crash case? When you hire an attorney to negotiate a settlement in your car accident case, you hope you picked an experienced attorney who can obtain a favorable outcome for you. However, even if he has the skills and experience to handle your claim, he cannot—or should not have to—do it alone. You can take steps that will make his job easier and increase the likelihood of obtaining the compensation you deserve. Be honest. Your attorney is relying on you to be open and honest with him so he knows all the facts and can build a strong case for you. This means telling him about any potentially negative information too, like that you may have been partially at fault in causing your crash. An attorney can develop strategies to handle weaknesses in your case—if he knows about them. Compile a description of what happened. You need to develop a detailed account of everything that happened leading up to and during your accident and of your medical treatment so far. This will help the attorney evaluate your case and determine how much compensation you could be entitled to. Provide necessary information. You should provide your attorney with contact information for the other driver, his insurance company, and other witnesses. You also want to give him a copy of the police report, any pictures of the accident scene, your insurance policy, and documentation of your vehicle repairs and any other property damages, lost wages, and medical bills to date. Disclose prior legal problems and accidents. Don’t leave your attorney in the dark. He needs to know if you have any prior criminal convictions, were involved in another vehicle accident, had a preexisting injury, or were involved in other lawsuits. These matters will be uncovered by the other driver’s insurance company or attorney, so you want your attorney to be prepared in advance to discuss how these issues could affect your settlement. Stay in touch. Stay in touch with your attorney regularly and provide him with your new contact information if you move while he is handling your case. Did a negligent driver cause your car accident? Did a family member or you suffer injuries? Call our firm at 866-299-0558 to schedule a free consultation with our experienced legal team. How soon after a car accident should I go to see a doctor? They want to save money on medical expenses. They do not believe they were seriously injured. They wrongly think they can tough it out. However, this is a big mistake not only for your health but also for your possible claim for compensation against the negligent driver who caused your injuries. Unknown conditions. The symptoms of some common injuries caused by an auto accident—like traumatic brain injury, spinal and back injuries, soft tissue injuries, and internal bleeding—may not become apparent for days or longer after the crash. You do not want to make your condition worse—sometimes life-threatening—by failing to obtain prompt medical care. Damage to your claim for compensation. Insurance companies often follow a 72-hour rule for evaluating claims. If you do not seek medical care within 72 hours of your accident, the insurance adjuster will use this as an argument to deny or reduce your claim. He could argue that the injuries were caused by some event other than the crash or that you are exaggerating your injuries. This 72-hour rule is actually factored into a number of computer programs insurance companies use to arrive at a settlement amount, reducing the value of the claim when the victim delays treatment. What Happens If You Did Not Seek Prompt Medical Care? While you do not want to jeopardize your health or your claim for the compensation you deserve by not seeing a doctor soon after your accident, you may not have realized the importance of this right after your accident. You may have honestly believed you suffered no injuries until days or weeks after your crash. The good news is that your failure to see a doctor does not ruin your claim for compensation from the negligent driver. An experienced car accident attorney will know how to handle this problem in your case—and many much worse mistakes made by accident victims. If you or a family member was injured in a crash caused by another driver you need to speak with an experienced car accident attorney as soon as possible. Contact us online or call us directly at 866-299-0558 to schedule your free consultation.